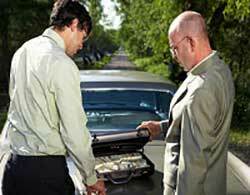 Am I protected as a whistleblower in Los Angeles? Call our lawyers and find out, or click here if you were illegally terminated. You report your employer for an illegal or suspicious action that affects someone outside of your company. You refuse to perform an illegal act. You report your employer to a Branch of the Government. You complain about conduct at work that amounts to a violation of Discrimination Laws such as Sexual Harassment. You complain that your employer is committing wage violations such as overtime violations or not properly paying a wage. Los Angeles Employment Arbitration Lawyer Examples of illegal employer actions include Medicare billing fraud, OSHA violations and illegal dumping of hazardous waste. Whistle Blower protection only applies if the employer’s actions affect someone outside the company. If an employee steals from the company, and you report the theft, you are not protected. 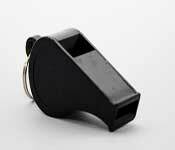 You are protected as a whistle Blower any time you have a reasonable suspicion your employer violated the law. You do not have to be right.If your employer retaliates against you for being a Whistleblower, you may be entitled to compensation. Speak to a California employment lawyer. Call 1-877-525-0700 toll free. We handle all cases on a contingency fee basis with no upfront costs. Work Employment Fraud Lawyer Could your reporting of protected activity have caused your termination of employment? Both direct and circumstantial evidence may be used to prove causation, Colarossi v. Cory, 97 Cal.App.4th 1142, 1152, 119 Cal.Rptr.2d 131 (2002). CACI 2430 only requires that the violation of public policy was a “motivating factor.” An employer is liable for wrongful termination even if the termination was only partially motivated by an illegal reason, Balog v. LRJV, 204 Cal.App.3d 1295, 1309, 250 Cal.Rptr. 766 (1988). Case law does not establish any hard and fast rules about how long can transpire between the protected activity and the adverse employment action. Obviously this is a fact based question. There could be a case in which a very angry manager admitted to somebody else that they were getting an employee back for protected activity occurring 18 months earlier, and the court would not be able to dismiss the case as a matter of law, due to timing, with evidence like that. California cases have allowed retaliation claims to go forward, based upon timing, when far longer periods of time have elapsed between the protected activity and the adverse employment action than is present in this case. In Colarossi, during May of 1997 Plaintiff participated in a sexual harassment investigation, Colarossi, 1147, 133. Plaintiff was fired in February of 1998, Id. at 1147, 134. The court held that based upon the totality of the evidence a reasonable trier of fact could conclude there was a retaliatory motivation and reversed summary judgment, Id. at 1155, 140. Akers v. County of San Diego, 95 Cal.App.4th 1441, 1453, 116 Cal.Rptr.2d 602, 611 (2002) involved an October of 1996 letter written by counsel complaining of gender and pregnancy discrimination to support retaliation occurring up until February of 1999, Id. at 1451, 609. Iwekaogwu v. City of L.A., 75 Cal.App.4th 803, 808-809, 814 Cal.Rptr.2d 505, 509, 514 (Review Denied 2000) dealt with an employee who complained of race discrimination August of 1991 and went to trial for retaliation through October 8, 1996. The court of appeals affirmed the verdict on this case involving retaliation years after the protected activity. In Flait v. N. Amer. Watch Co., 3 Cal.App.4th 467, 472, 4 Cal.Rptr.2d 522, 525, 526 (1992), Flait was terminated in January of 1988 and alleged it was retaliation for reporting sexual harassment last in August of 1987, but first in March of 1987. The court held “[p]retext may be inferred from the timing of the company’s termination decision,” Id. at 479, 530.